Fuel Injector Clinic injector sets are precisely flow matched to within 1%. Each injector within each set is individually numbered and results for each injector are listed on a detailed flow sheet included with the set. Dynamic flow matching is used only on injector sets where the additional time and cost are justified by the corresponding benefits gained during the tuning process. The superior spray pattern and atomization make these injectors easy to tune and provide great drivability. Fuel Injector Clinic injectors use the factory electrical connector or include solder-in pigtails. You can purchase adaptor ‘plug-n-play’ harnesses to avoid cutting your stock harness as an optional extra. 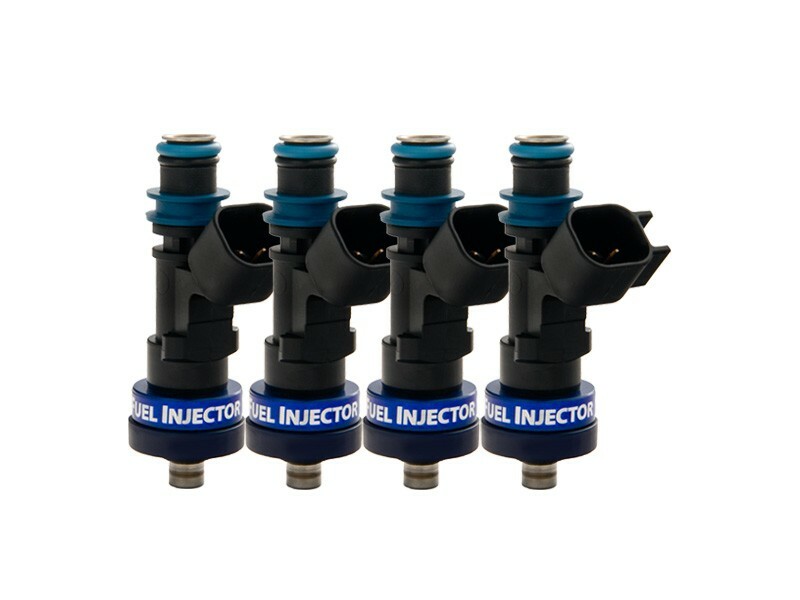 This injector set contains high impedance injectors matched to the saturated injector signal generated by this vehicle’s OEM ECU, OR is suitable for use with an aftermarket ECU made or set up for high impedance injectors. This plug conversion is made necessary because FIC always chooses to provide brand new, unused injectors for its performance applications. Since consistent fuel delivery is critical to high performance engine reliability we feel that using factory new injectors eliminates the increased potential for failure that exists when using remanufactured injectors. We do not believe that increasing the chance of a failure due to using remanufactured or core program based injectors is ever warranted.